A Wonalancet resident, Dr. Julia E. Howell is a composer, violist, educator, and producer. Julia grew up in New York City, where she began lessons in violin, viola, piano, and theory and composition at the Turtle Bay Music School and performed with InterSchool Orchestras of New York. She and her family relocated to New Hampshire in 2001, where Julia became involved in Mountain Top Music Center’s orchestra and chamber music programs as well as studying composition with William Fletcher at Concord Community Music School. Julia received a BMus in composition and viola performance from Loyola University New Orleans, where she also taught strings and piano lessons and worked as a production technician and freelance violist. In 2011, Julia moved to Cardiff, Wales, and received an MMus and later a PhD in composition from Cardiff University. 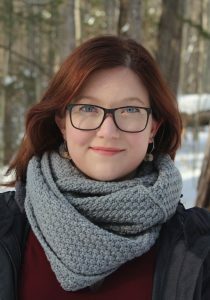 She has additionally studied at summer programs including rarescale’s electroacoustic composition program, Cheltenham Music Festival’s Composer Academy, Aberystwyth MusicFest, Bowdoin International Music Festival’s composition program, and the Karen Tuttle Viola Workshop at Cleveland Institute of Music. Julia’s music has been performed in five countries by ensembles including Bruckner Orchester Linz, BBC National Orchestra of Wales, Lontano, rarescale, Welsh National Opera Youth Opera Programme, and Cardiff University Contemporary Music Group. As a violist, Julia performs widely in a variety of ensembles, settings, and genres, from soloist to chamber ensembles and orchestras to musical theater and opera to electroacoustic performance art to punk rock. Julia has taught theory and composition, violin and viola, beginning piano, sound art, orchestration, music technology, and chamber music for all ages from four to adults, and in settings ranging from private lessons to university-level courses. Julia is particularly passionate about collaborative and chamber music, new music, and interdisciplinary projects, often working with other artists in the fields of sound art, theater, dance, film, and visual and installation art. As an educator, Julia strongly believes that music is truly for all, and should be inclusive and boundary-breaking.